✅2 PACK – The Hand Power Pro by Pykal comes with 3 Hand Exercisers i.e. “LIGHT, MEDIUM & HEAVY STRENGTH”.These tension levels are suitable for 99% of the users. ✅Super-Tough Heavy Duty material – There are many imitations in the market, but ours is made of Super-Tough material designed for longevity and your comfort in mind. ✅Stress Ball Concept – The Hand Power Pro is a uniquely designed stress ball which is approved by Physicians world-wide. ✅No Blisters or Burns – It is soft as SKIN and ergonomic on hands. This ensures, no blisters or burns. It is the ONLY exerciser with UNIFORM RESISTANCE & BALANCE at its CORE. ✅Better Daily Life Function – Resistance training for individual fingers helps restore confidence and daily life functions. ❔ ARE YOU STRUGGLING WITH YOUR GRIP OR SIMPLY TRYING TO MAKE IT STRONGER? ❔ARE YOU LOOSING YOUR WRIST STRENGTH TO TWIST ? If the answer to any of these questions is “Yes” then you need THE HAND POWER PRO by Pykal. Use it for 30-days and see the difference for yourself. ❔ ARE YOU LOSING STRENGTH IN YOUR HAND, FINGERS, WRISTS. If the answer to any of these questions is “Yes” then you need this uniquely designed stress ball. This stress ball will become your companion. It is very portable. You can do it while watching TV, reading a book or soaking the sun. Doing a regular workout for your fingers ensures better daily life function. 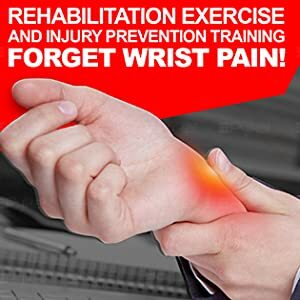 With the growing dependence on computers and mobile phones, many people world-wide are effected with RSI, Carpal Tunnel, Trigger Fingers and Rheumatoid Arthritis every year making them unable to work in the profession of their choice. Make The Hand Power Pro your companion and prevent these problems or simply reduce your symptoms by working out your muscles. The Hand Power Pro from Pykal comes included with 15+ Exercises which you can watch on your PC or Mobile that is connected to the internet. * We recommend consulting your Health care provider who can assess your individual needs. !! !IMPORTANT – Health Practitioner Consent advised before use. We recommend that you always consult your healthcare provider before beginning this exercise program. These exercises are designed to enhance and maintain the physical attributes and general health of hands specific to this exerciser instrument. Begin all exercises slowly and use low resistance & few repetitions. Progress slowly and increase reps very cautiously. If you experience any pain or difficulty with any exercises, stop and consult your healthcare provider. DISCLAIMER: Pykal LLC and Pykal P/L is not liable for any injuries incurred while using exercises or programs in this exercise guide. We recommend consultation with your healthcare provider. This finger exerciser looks simple but it is a good one. I always keep it on my desk and I can’t stop stretching it. Stupid huh!! But I feel good though, really! My old man loves this hand power pro. He had problems with stiffness on his fingers. My friend told me about this product and I bought it for him – which is cheap as well. He already feels quite an improvement in his fingers now. I bought this last month.Since then I am regularly following the exercises they provided with the product itself. My hand and fingers feel strong now. The spring hand exercisers are really a pain. My hand develops burns and blister with them. This one is a pleasure. I didn’t know that it comes with a bundle of two with different resistance. I am starting with the soft one. Feeling good already. Thank you Pykal! Great hand exerciser for relaxing your hand and fingers. You can feel the change instantly after using the hand pro. Fits perfectly on my hand. Easy workout. It is totally different from the one I used for my therapy. But it’s way better. Classic and more simple looking than other fancy hand exercisers. It works perfectly. This hand exerciser are perfect fit to different sizes of hand. Recommend this hand exerciser to all. Athletes would love it to make their grip stronger and more consistent. Already experiencing greater endurance and strength using this hand pro. It is easy to use. I am using this regularly for a while now. Having a bit of improvement. Great for exercising your finger. I came to notice in just a couple of days. Thank you Pykal. Hand power Pro is very effective in enhancing the flexibility of hand and fingers. This is made up of soft quality rubber and is quite easy to use. Pykal has also provided some videos related to this product showing the correct way of using the hand power with a wide range of purposes. I appreciate their service and it arrived on time. I am completely satisfied with this amazing power hand by PYKAL. I was looking for such a product for a long time, finally got it. It is very helpful for me as I was suffering from wrist pain, but this gave me a deep breath. I use to pick heavy material sometimes with my hands and due to lack of flexibility, my wrist starts paining. The hand power helped me increase flexibility. Now I don’t feel any strain on my wrist. Truly a helping item. I would highly recommend. 2. Instructions and videos are an important informative sources for effective use. 3. It is soft and durable. Ultimate hand power for hand and grip strengthening. 1- Soft on hands no chances of blisters, burns or bruises. An authentic asset for me. Works as described. 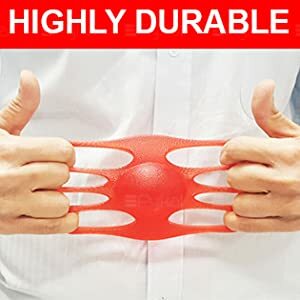 It really helped me recover from surgery, and strengthened my wrist and hand. Thanks to the hand power, I am back into the gym in a very short period of time after the injury. Furthermore, their videos are advantageous to follow to get a better understanding of appropriate functionality of hand power. There are multiple exercises we can carry out using this product. One specialty about this product is that we can perform exercises while travelling, reading and walking etc. On top of everything, PYKAL’s customer service is very active, they will send a follow-up email to know customer satisfaction and feedback. It shows they really do care about their customers. As my health is becoming weak with ageing, so do my hands and fingers. This hand exerciser and straightener are pretty beneficial at the moment to do exercises. You can take advice from your GP or watch videos provided by PYKAL, so you can know how it works. The hand power is extremely cheap and affordable. It is also made up of premium grade material I hope it will last long. I use the green one which is easy for me to stretch and risk-free i.e from injury because I do not have to go out of home for external exercise. The activities appear to work. I’ve followed the instructions in the booklet, and first time today, I am able to open a container without assistance. My entire point in getting these exercises was to probably do that. The one thing I don’t care for is that the vendor messages you over and over, inquiring as to whether you have viewed their instructional recordings. So as to watch the recordings at their site, you need to enlist – and I’m hesitant of doing that! A brief “thank you” from the vendor and clear connects to guidance recordings is the thing that you need.